The Stiebel Eltron Mini tankless water heaters are designed for single point of use installations such as tiny house bathroom sinks, kitchen sinks, laundry areas, small cabins, boats, and RVs. The Stiebel Eltron Mini tankless water heater models are also ideal for restrooms or kitchenettes in an office or commercial / industrial settings. What Stiebel Eltron Water Heater Is Right For Me? The combination of meticulous German engineering and the best available materials ensure that every Mini™ is of the highest quality and designed for many years of trouble-free service. Nobody can compare with their exceptional reliability record and customer support services! 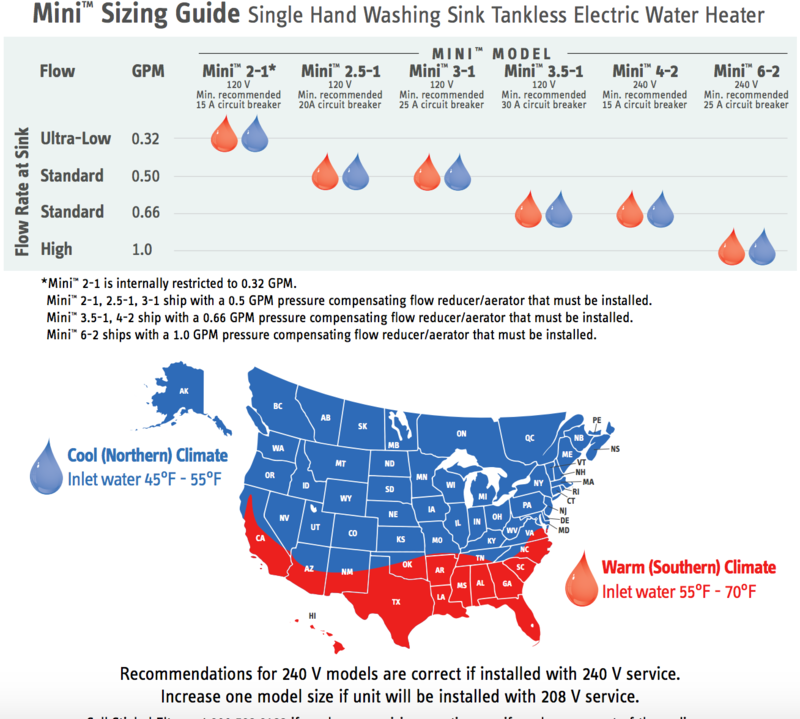 Mini™ can deliver warm or hot water to a single point-of-use, usually a hand wash or utility sink. SEE IMAGE #4 for sizing chart. Or Call Stiebel Eltron at 800.582.8423 for sizing questions.